An air purifier provides an effective option for maintaining the air quality in your home. They are great appliances for removing harmful pollutants. However, the location where you place the purifier may impact its ability to get rid of these pollutants. So where is the best place to put an air purifier in bedroom? Before plugging the purifier into the electrical outlet, you should carefully consider the placement of the appliance. There are two decisions that you need to make when positioning your air purifier. You need to choose the right room for the appliance along with the right location within the room. If you want to place and use an air purifier in your bedroom, then you should leave a space of between 6 to 10 feet from where you’ve placed the air purifier to the head of your bed and the directional registers should also be pointing towards you. If you place it closer than 6 feet from your bed, you might feel a draft and on the other hand, if you place it further than 10 feet from your bed, you might not get the full benefits of breathing clean filtered air. For maximum air filtration to be achieved, some models need to be placed in the middle of your room. However, if this is an issue for you, then you can choose one with a 360-degree filtration and that can be placed at a distance of 6 inches to a foot away from the wall. Additionally, when you’re searching for an air purifier to place in your bedroom, ensure to pick a model with a “sealed system.” A sealed system separates the clean filtered air from the dirty air to ensure you only breathe clean and fresh air from the air purifier. You also need to keep the purifier on for 24 hours a day and on the highest setting if possible. If you find it noisy, then use the highest setting when you’re not in the bedroom during the day, then at night when you want to sleep you can turn it down to a lower setting. Air Purifier On Floor Or Table? After you’ve chosen the best room to place your air purifier, the question then becomes, do you put the air purifier on floor or table? Is it better and safer to place it on the floor or on a table? Well, it depends on the model you’ve chosen since some models are required to be placed on the floor and in the middle of the room if maximum air filtration is to be achieved. Even though placing it squarely on the floor is recommended, you need to be careful since it can pose a trip hazard for kids in the house. Others can be placed comfortably on a table and provide you with the full benefits of air filtration. But still, the best way to be sure is to check and read the instructions manual from the manufacturer to know where exactly they recommend to place or put the particular model of air purifier you’ve chosen. Which Room Is the Best Spot for an Air Purifier? With a free-standing air purifier, your first consideration should be which room to place the appliance. You may want to place it in a room where you spend more of your time or in an area that is more prone to the spread of airborne pollutants. For example, many parents choose to place air purifiers in their babies’ rooms. Infants and young children are at greater risk of experiencing respiratory issues or allergic reactions from harmful contaminants as their immune systems and internal organs are still developing. Another common location for an air purifier is the bedroom. You may spend up to one-third of your day in the bedroom, making it one of the most used rooms in the house. Maintaining cleaner air while you sleep may even promote a better night’s rest. The living room is also a popular spot for an air purifier. It is also a suitable option for families as it provides cleaner air in a room where everyone spends time. The kitchen and bathroom are the two rooms that tend to produce the most pollutants and odors. They also provide the optimal environment for bacteria and mold growth. The closer the air purifier is to the source of the pollutants or odors, the more effective it is at purifying the air in your home. Along with the spread of bacteria or mold growth in a humid kitchen or bathroom, you may want to place an air purifier in any room where smoking is permitted. Tobacco smoke can easily stain the walls and other objects while also allowing secondhand smoke to reach other areas of the house. If you cannot decide on a location for the air purifier, you may want to consider installing a whole-house air purifier. These purifiers connect to the existing air ducts in your home, helping to get rid of harmful pollutants in every room of your house. However, these systems often cost more and may require professional installation. Where in the Room Should You Set up a Purifier? After choosing the right room for the air purifier, you should choose the right spot in the room. The most ideal location is the center of the room without any objects or furniture obstructing air from reaching the purifier. However, most people do not want to place a tall purifier in the middle of a room where it can pose a tripping hazard. The next best spot is near a wall. Again, you do not want to block the purifier by placing it behind furniture. However, if you are a smoker, placing it behind the couch or chair where you regularly sit may allow the purifier to more effectively remove the tobacco smoke from the air. When placing the air purifier near a wall, make sure that the intake vent faces toward the center of the room. You should also position it near one of the longer walls in a rectangular-shaped room. You also need to avoid obstructing the intake and discharge vents. Both vents to need to be kept open and clear for the purifier to work properly. Maintain at least one to two feet of space around all sides of the air purifier. If you have limited space, there are models of air purifiers that feature a discharge vent on top of the unit. These purifiers can be placed against the wall with the intake vent facing outward. The type, make and model of air purifier you have will determine how long you can run it before shutting it off. There’s a common misconception that an air purifier can only be operated for 2 to 3 hours for it to fully do the job of cleaning your polluted air. However, most air purifiers are designed to be used for long and extended periods of time without being switched off. There are many factors which introduce pollutants and contaminants in the air all the time such as pets, humans, air conditioners and heaters and even open windows are all responsible for new particles swirling around the air all the time. For you to achieve maximum air filtration, you’ll need to let your air purifier run for about 6 to 8 hours at a time. But it’s wise to refer to your user manual to get a clear guideline on how long your particular model of air purifier should be operated before being switched off. Besides placing the air purifier in the right spot, there are additional ways to ensure that you maximize its effectiveness. First, make sure that you keep doors and windows shut. Similar to an air conditioner, the air purifier is less efficient when it needs to purify both the air in the room and the air coming into the room from outdoors. While you should keep windows and doors shut, you also want to ensure that the room has good air circulation. Proper air circulation allows more air to reach the purifier, helping to clean the air more quickly and efficiently. You should also avoid placing your air purifier near other electronics. The purifier may interfere with certain items, including microwaves, televisions, and stereos. You may also need to occasionally replace or clean a filter to maintain the performance of the air purifier. Most air purifiers use some type of filtration to help remove contaminants from the air. As these filters become clogged with the debris that they collect, they become less effective. Always check the instruction manual to determine how to deal with dirty filters. What Type of Air Purifier Should You Choose? The type of air purifier that you use is just as important as where you place it. Certain purifiers are designed to eliminate bacteria and mold while others may only help eliminate dust and pollen. Each type of purifier uses different technology to help clean the air in your home. The HEPA filter is one of the most popular options. You can also find HEPA filters in air conditioners and furnaces. These filters can remove at least 99.97% of particles larger than 0.3 microns. With a HEPA filter, you may trap bacteria and mold along with pet dander, pollen, dust, and other debris. However, a HEPA air purifier that does not use additional technologies may not eliminate chemicals, odors, or gases. If you need to remove chemicals and odors, you may want an activated carbon purifier. You can also find HEPA air purifiers that include activated carbon layers for additional purification. The activated carbon filter contains tiny pores that increase the absorbency of the filter, allowing it to trap odors and chemicals. It also helps to remove larger particles as well, such as dust and pollen. However, an activated carbon filter alone may not be enough to fully eliminate these larger contaminants. UV technology is also commonly used in air purifiers. Unlike the previous two options, the UV technology does not eliminate airborne particles. It instead helps to kill harmful bacteria and viruses. Using a UV lamp, the air purifier radiates UV rays that help kill microorganisms such as germs. As the UV lamp cannot trap airborne pollutants, the most effective UV purifiers also include the HEPA and activated carbon filters. 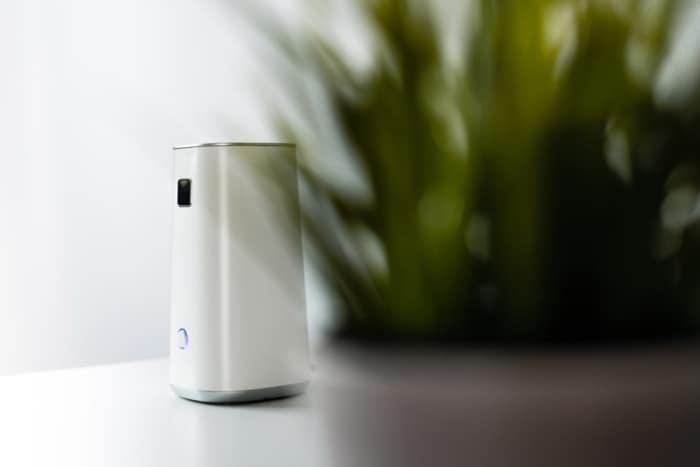 A negative ion air purifier uses chemicals to help purify the air. Ions contain either a positive or negative charge. The purifier releases these ions to attract airborne particles. When the particles attach to the ions in the air, they become too heavy and fall to the ground, wall, or windowsill. Negative ion purifiers are less effective than the other options as they do not really get rid of the particles. They simply make the particles too heavy to remain in the air. The final option is the ozone air purifier. Most health professionals now advise against using these purifiers as exposure to ozone may increase the risk of lung damage and asthma attacks. Overall, the most efficient solution is a UV air purifier that features HEPA and activated carbon filters. These purifiers offer a multi-stage approach to air purification to help remove even more pollutants from the air. The location of an air purifier directly affects its ability to purify the air in your home. You can place the air purifier in any room that you choose. You can place it near the source or choose a room that you spend more time in. You should avoid placing the air purifier directly against the wall unless it has a discharge vent located on top of the unit. There are also whole-house air purifiers that connect to the ductwork and help to eliminate pollutants from every room. Besides the location of the air purifier, you should ensure that you select the right type of air purifier. Choosing an air purifier that employs multiple technologies may increase its ability to keep your air clean. The bottom line is that an air purifier needs to be placed in an area where it can be of use. Avoid placing it in a corner and remember to maintain one to two feet of space around all sides of the purifier.